Notice how everything is coming up CHEVRON this spring at Target, WestElm, Wayfair, Pottery Barn, Pier 1, and more? 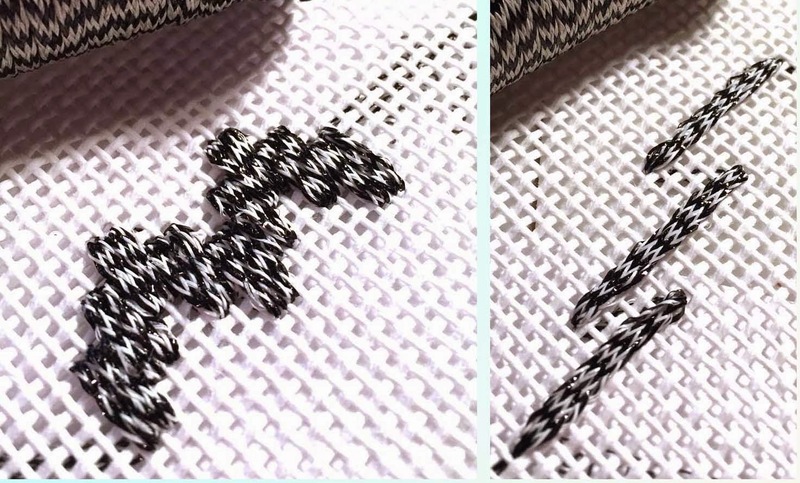 This "V" shaped pattern is fun in design, accessories and home decor, and now you can get it in Kreinik 1/16" Ribbon for your needlework projects. The new Chevron Ribbon is available in five colors: 4505 Zebra, 4507 Salmoon, 4503 Red Snapper, 4522 Gnu, 4536 Tiger. 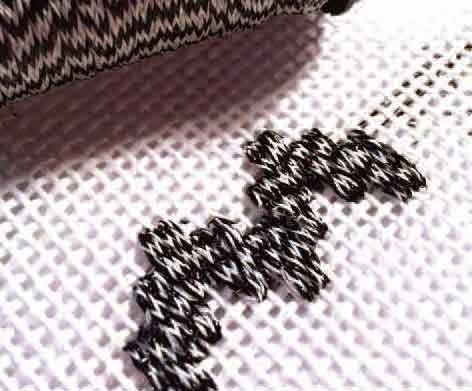 Use it in a variety of stitches, but especially in long stitches, herringbone, bargello, satin stitch, and similar, where you can see the pattern. It can look like bird feathers or animal prints, or it can simply add another level of visual interest to a design. Stitch a chevron ribbon in a Chevron Stitch? Yes! Give it a try and see what new patterns you can create. Kreinik 1/16" Ribbon has become popular in needlepoint because it provides excellent coverage on 18-mesh. In cross stitch, quilting, crazy quilting, crewel, and other surface embroidery, use this super-soft ribbon for decorative stitches on any fabric. You can also combine it with other fibers and use it with the Kreinik Custom Corder to create interesting cording and trims for finishing. Ask for the new Chevron Ribbon from your favorite needlework store, or visit http://www.kreinik.com/shops/Chevron-Colors.html for details. If you haven't heard the news already, a wine hue named "Marsala" will be the color you see everywhere this year: home decor, clothing, flowers, weddings, paint, plastics, fabrics, etc. Pantone® the company has declared it so, and they should know: Pantone® LLC is the authority, the head, the king-pin, the standard-bearer of color. Industries, manufacturers, and design companies of all types have been listening to Pantone® for the last 50 years. So, there's a lot of buzz about Marsala. Pantone® (www.pantone.com) describes Marsala as "a naturally robust and earthly wine red." At a glance, it's a rich, chocolate-wine-berry shade — which sounds downright yummy. You can't go wrong with that combination. We like it because it mixes well with so many other colors. If, or rather, when it makes its way into our lives this year, it should go with everything and complement many styles. 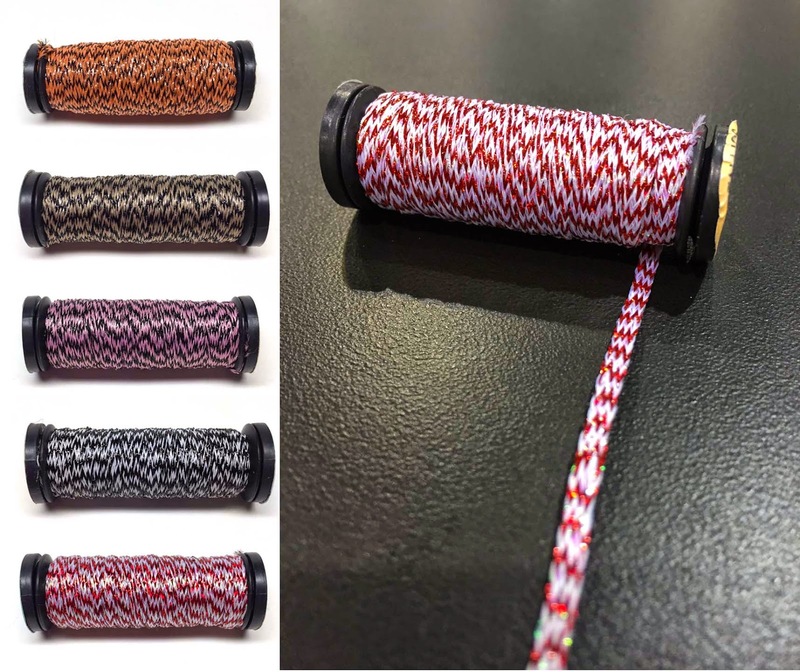 Needlepoint canvas designers, weavers, spinners, and other creative types have been asking: which Kreinik metallic thread matches Marsala? We have had hues of this great color in our line for some time, so we're glad to see it come to the forefront. Here are your Marsala options, perfect for any stitching, sewing, painting, crafting, embellishing, home decor, or mixed media project on your schedule this year. Use them singly, or work with both colors for "Marsala" thread shading in your designs. To get these Kreinik colors, visit your local needlework store or www.kreinik.com for more information. We can't wait to see how you use them in your projects this year. Pin to your Pinterest page (use keyword Kreinik so we can find you) or share photos on our Facebook page (www.Facebook.com/Kreinik.Manufacturiing.Company).